Removable and Stackable Plastic Hanging Bins for Wall Control Pegboard. Ideal for small part pegboard storage and organization like nuts, bolts, screws, and small loose items. Plastic Hanging Peg Board Bins work great for extra power tool battery storage. Durable Plastic Pegboard Bins are virtually unbreakable in everyday environments. These hanging storage bins are made from heavy-duty polypropylene and are rust proof by nature. Plastic Stackable Hangable Pegboard Bins available in Black, Red, Blue, Yellow, and Clear. 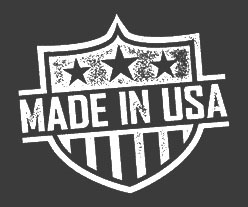 Pegboard Bins are Made in USA.